Being Dynamic always is what a person anticipates for, but how dynamic are you? On this World Osteoporosis Day, we are back to enlighten the facts about the DYNAMIC TISSUE (Bones) of the human body along with the tips associated with choosing the decent diet to make you stronger. Bones are composed of the cells called as osteoblasts. These are durable and porous to make a bone robust to maintain the posture and to absorb vital nutrients. 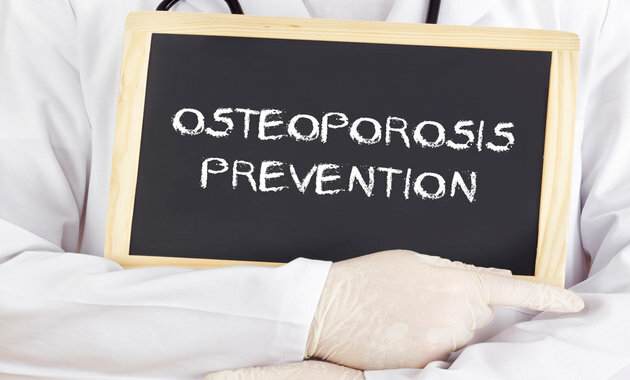 So, the problem arises due to the porosity of the bones, when the porosity increases bone density diminish and become weak, this leads to the dreadful condition called as OSTEOPOROSIS. In this condition, even a small sneeze or bumps can lead to fractures. This fragile disease is prevalent in INDIA and according to the stats, every year 10 million cases are diagnosed. However, the treatment can help in getting the temporary relief, but there is no possible cure for this. Only an old school saying can help us here. Any Guesses? Yes, you are right “Prevention is better than cure.” People with the poor lifestyle can fall prey for this, and the most common things which can trigger osteoporosis are smoking/alcohol abuse, improper diet (Calcium Robbers), stress and no physical activity. Diet or intake of adequate amount of calcium is vital, and it is the primary step for the prevention. So, this article will help in estimating the nutritional value of the food we consume in our day to day life in preventing OSTEOPOROSIS. 1. Replacing caffeine with milk: consumption of coffee will promptly increase the chance of having OSTEOPOROSIS those who intake less quantity of calcium in their diet. So, substituting caffeine with milk (one cup a day) is the best way you can restore the negative calcium balance. 2. Sugar Intake: If you want a sweet life then the only option you left with is, reduce the sugars and sweets. Because the metabolism of sugars will use the components like calcium leads to scarcity. Any other reason you need? Sugars will also block the absorption of calcium from the food we take. So, choose your candy carefully. 3. Salt Intake: There is a connection between sodium and calcium because salt intake can play a role in the calcium levels in the body. The consumption of salts leads to hypertension or high blood pressure (BP) and the studies suggest that people with high BP will lose the significant amount of calcium through Urine. So, plan your diet accordingly. 4. Protein Intake: Protein is another calcium robber in the list. Yes, you heard it right, and you might question us by saying “the world is going mad over proteins”. Trust me it is true because the meat protein metabolism expels acids in the body which needs calcium to neutralize. So, plan your intake of protein which should be moderately less than 60gms per day. 5. Phosphate Intake: Parathormone is the secreted to neutralize the phosphate which is present in sodas, ready to eat foods and fast foods. How is it related to calcium deficiency? The mobilization of parathormone needs calcium from bones, which makes total sense. Maintain a healthy lifestyle by reducing the alcohol/smoking and add life with regular workout or strength training alongside a healthy diet. Remember “Eat, Sleep, Workout & Repeat.” and you will be a far distant relative to OSTEOPOROSIS. ← This Diwali, Smile Bright!